Do you reject the idea of installing a metal roof because it is suitable on barns only? If yes, then you are mistaken. Nowadays, engineers & architects recommend metal roofing for residential properties also. Today, residential metal roofing is the ‘in thing’. Not only these roofs can withstand extreme natural conditions such as hurricanes, hailstorms, and wildfires but they are quite stylish and trendy as well. When you understand the unique benefits of metal roofing in Adelaide, it is impossible to resist it. The installations of the metal roof have doubled in the past five years and it is increasing at whopping 15 to 20 percent per year. According to studies, the durability of an average residential metal roofing is at least three times longer than the asphalt roof. It means, it can last up to five-six decades without any problem. It is indeed quite a long time. In the humid states, asphalt roofs are prone to the havoc of mildew, but the metal roofs are almost immune to it. If installed well, it doesn’t rust. these roofs can resist winds up to 150 miles per hour. The metal roofs pass through stringent resistant tests. Hence, they ensure excellent stability even in the severe climatic conditions. Those who have been using metal roofs from quite some time praise them for the qualities of robustness & stability. Asphalt roofs rip off in the stormy weather, and they discolor over a period. However, metal roofs remain unaffected. Asphalt roofing is prone to replacement. Once removed, it has to be sent to landfill, there is no alternative to it. Metal roof stays longer. Moreover, recycling metal is very much possible. Thus, we can call it ‘Green’ roofing. The steel roof is much sturdy & durable. Moreover, it is resistant to insects, mold, and rot. Hence, you don’t need to apply hazardous chemicals, insecticides and so on. If you are concerned about the environment & surroundings, then you must choose a metal roof. Metal roofs reduce the heating & cooling needs as high as 30 percent when you apply reflective paint. The residential roofing made from asphalt absorbs a high amount of heat. Metal roofs reflect almost 90 percent heat and keep the home fresh. 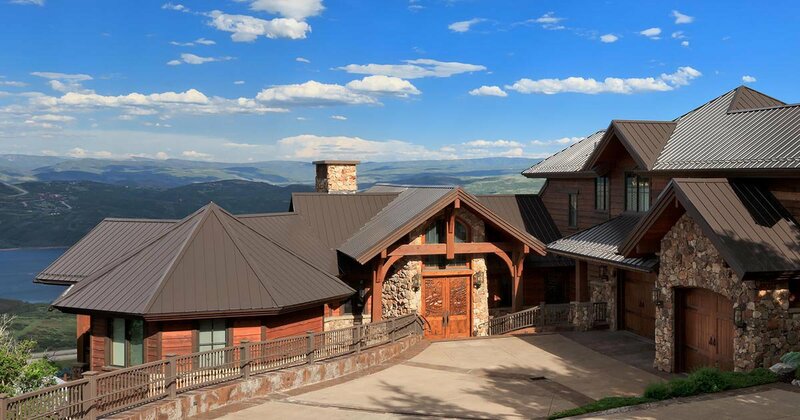 Thus, the trend of metal roofing not only brings durability but many other benefits as well. Check Out All Of Roof Specialist SA's Videos, and Blogs!